even two new discussions initiated by him (28-42). rivers and their tributaries – the Irkut, the Ushakovka, the Kacha, the Ushaika… Improved embankments are a very important part of the system of public spaces and, as usual, are a popular meeting place. That is why the recent biggest projects for Yakutsk, Irkutsk, Krasnoyarsk and Tomsk deal with this issue. Irkutsk has been waiting so long for the moment when Gagarin Boulevard and Nizhnyaya Embankment meet. is urgent not only for capitals, but also for regional centers – the theme of artificial platforms (140-143). GRIGORYEVA, Elena. banks. 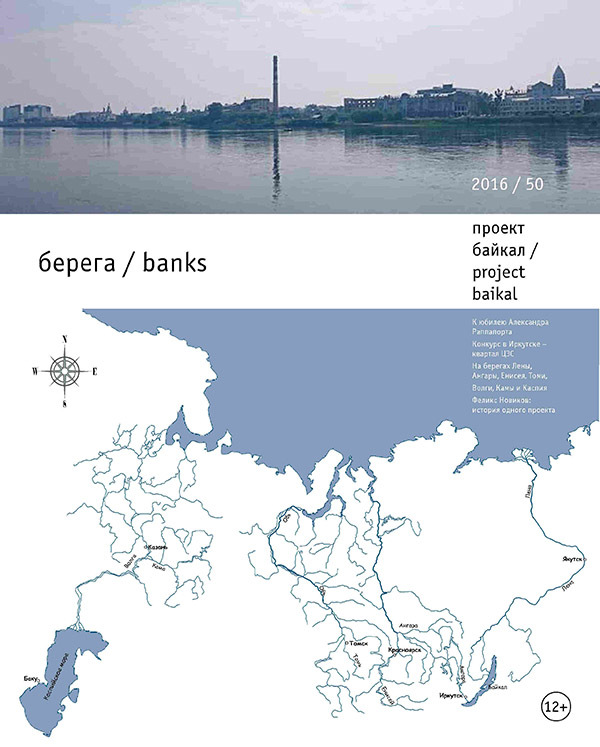 project baikal, Russian Federation, n. 50, p. 1-1, nov. 2016. ISSN 2309-3072. Available at: <http://projectbaikal.com/index.php/pb/article/view/1024>. Date accessed: 22 apr. 2019. doi: https://doi.org/10.7480/projectbaikal.50.1024.